Are you a Waster?You love the earth, so take an active role in helping her. So, I have to ask, without even realizing it - Are you a Waster? to change some of your wasteful habits. Because only a small percentage of those in the world that has that very particular luxury. There are many others that struggle every day to find clean water for cooking or bathing. 1 in 8 people don't have clean water. And 1 in 4 don't have any toilet. and cannot be used for drinking or cooking. And nearly 900 humans die daily from water-borne illnesses. Did you know that only 1% of the earth's water is available for drinking water? And did you also know that a single flush of the toilet uses up to 6 ½ gallons of clean water? wastes 27,000 GALLONS of drinkable water per year. So...Think about it... Are you a Water Waster? 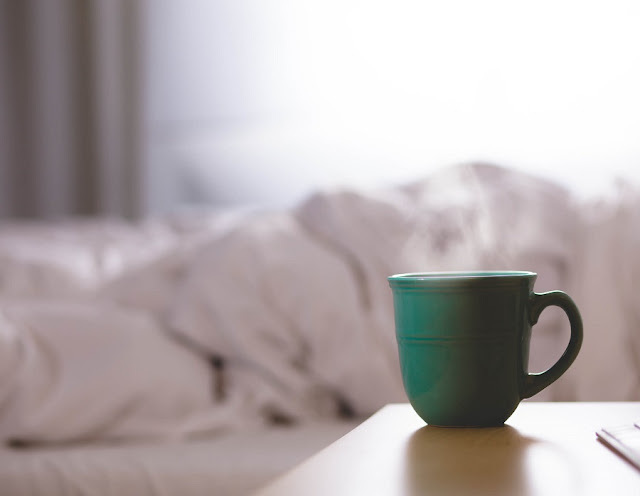 Do you mindlessly practice wasteful habits? How about - do you let the faucet run down for the total time it takes you to brush your teeth? Great. You've just wasted about 4-6 gallons of clean, drinkable water. people in other countries live on that amount for about 2 days. Water is precious. And it will become even more so in future. We've all wasted countless gallons of our precious resources. Yes, I've been guilty of it, too. But it only took a bit of mindful thought to take action to change my habits. while washing dishes or shaving in the shower. up to 500 gallons of water per month... ! for using less - with lower rates. It may be time to rethink your habits, too, when it comes to water usage. then making the choice to slowly start to shift your habits. You'll save, conserve, reduce use and honor our life-giving water. Water wasting in the home is not the only way we all use up our water resources. Making clothing and accessories uses huge amounts of water. In fact, the fashion industry is one of the top 3 polluters of the planet. from treatments and dyes used to make materials and apparel. that care enough to make the changes to their practices, with the earth in mind. Look for other brands that mention those kind of features in their production. Also look for brands that use 'plant-dyes, ('naturally dyed') on their items. as most standard industrial fabric dyes do. There are now many brands that have created new, green ways of production. you're doing something good for the earth. for yourself and your home? Get the info in my post of my 3 fav places to shop eco & ethical for a start. Hope I've given you something to think about. Will it inspire you make any changes? 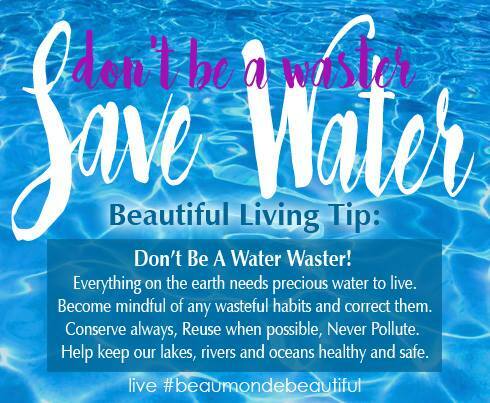 what are some of your best tips to save our precious water? This Beautiful Living Tip is brought to you with love. Wonderful post. Here in Northern California, we have had many drought years in a row, so water conservation is a must. Even without a drought, everyone needs to be mindful of their water use. I hope you are doing well. Hello Mike B! Thanks very much. Very happy to know you're not a Waster! ;-) You're so right, it's always been something we all should be mindful of, every day. I'm very busy, but am doing very well, thanks. Hoping you are enjoying your summer and are getting some well-deserved down-time! This is a really good post. A lot of people will agree with me on that statement. Cheers! Hi Ramachandran! Thanks so much for your enthusiastic appreciation of my post! Cheers to you as well!